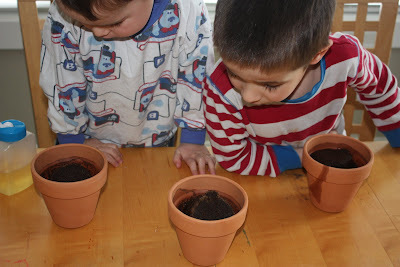 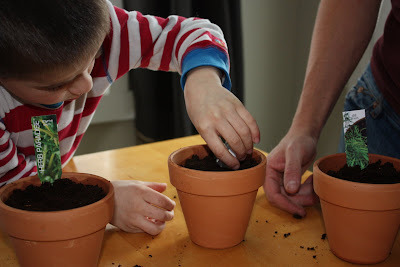 Even though there is lots of snow outside and it doesn't seem like spring is ever going to arrive, we started some seeds for the garden. 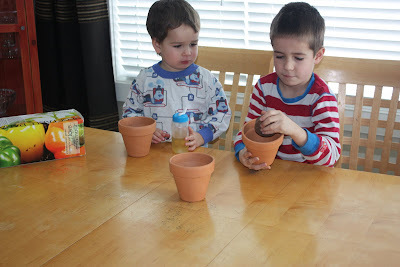 I bought these pots with a variety of seeds and we started our little plants. 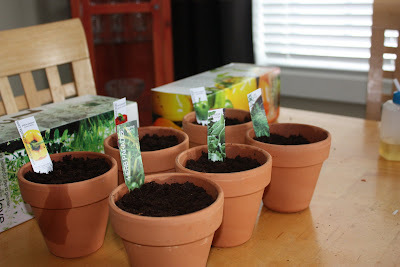 We planted green, red and yellow pepper and 3 different herbs. 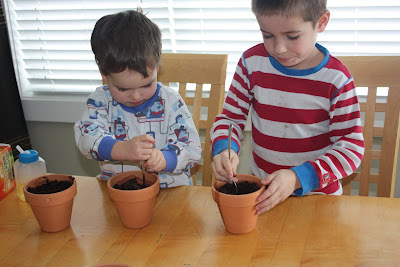 The boys put the soil in, watered it, fluffed it up and planted our seeds. 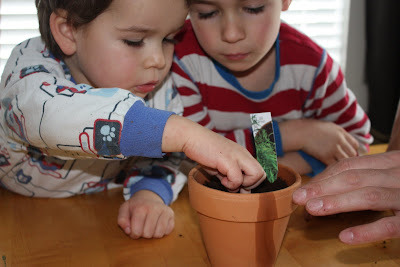 Levi asks me 5 times a day if the plants have come up already!